At intermediate level the examinations are organized in April or May annually. To prepare the exams there are several sources and ways. The easiest way to prepare the course is by getting help online of past papers of respective subject. ilmkidunya has wide range of collection of Lahore Board Inter Past Papers. These papers are available online for the help of students wishing to study at graduate level after passing intermediate. Subject wise past papers of class 11th and 12th Class and I.Com Part 1 and Part 2 can been downloaded just on one click. From year 2004 to 2018 all the past and up-to-date papers have been uploaded at ilmkidunya. 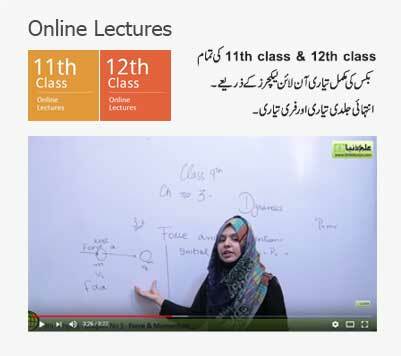 11th and 12th Class Past Papers Lahore Board are available here. By preparing these papers students can get help regarding nature of questions expected to come in the final exams. Prepare yourself for the upcoming inter part 1 and part 2 exams of Lahore board by downloading past papers of year 2018 and previous years. The past papers of all the groups at intermediate level have been uploaded by ilmkidunya. BISE Lahore Board 11th Class Past Papers of year 2018 are available to assist the students of country. Now students can download all the past papers which have been uploaded online for the students come under the jurisdiction of Lahore Board. The chances of success in the exams become double after preparing the past papers and it contains 50% importance for the preparation of final exams. 11t Class Past Papers Lahore Board can be taken from year 2004 to 2018. The past papers of last year exams (2017) are also available in all subjects at ilmkidunya. To prepare the exams there are several sources and ways but most common and authentic way of preparation is getting help by past papers. The questions given in previous exams contain maximum chances to reappear in next exams. All the enrolled and private students must prepare past papers besides other material. Below we have uploaded 12th Class Past Papers Lahore Board in all the subjects whether science or arts. The past papers of year 2018 are also available there. Get BISE Lahore Board 12th Class Past Papers from year 2004 to 2018 at following tabs. All the students of BISE Lahore intending to appear in the final exams of board next year must be fully prepared. The relevant material in form of past papers is available below. Students don’t worry for the final exams because I.Com Part 1 Past Papers Lahore Board are here for your preparation. This is a good way of self-testing which develop confidence and assessment. BISE Lahore Board I.Com Part 1 Past Papers of year 2018 have also been uploaded and from year 2004 to to-date can also be taken below. 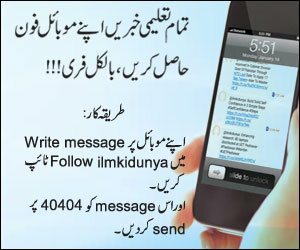 ilmkidunya has uploaded I.Com Part 2 Past Papers Lahore Board from year 2004 to 2018. Aspirants can get all the relevant material in form of past papers just on one click. Past papers have great importance for revision of whole syllabus and with the help of previous papers students can judge their preparation and knowledge and how they will perform during exams. Lahore Board I.Com Part 2 Past Papers of year 2018 in all the subjects (compulsory and optional) are available below for the help of regular and private students of board. Quality in Human Resources sets the rise and fall of a nation. The quality can be measured by the quality of the education system of a nation. For being a developed nation it is necessary to develop quality assurance in the education system. Due to the growing system of education, Pakistan has also been going to become a developed nation for years. In the education system, the intermediate level of education is of great importance. It is the above phase from high school standard and is considered as the gateway to honors degree education. Good achievements at this level of education lead you towards honor level of education. That’s why this step is considered as the great one. So, it is highly recommended to the students to pay their best to get a good result at an intermediate level of education. It is the identity of good students that they design their way towards the destination from the beginning of their session. All those students always search for better ways. Students are to inform that past papers are one of those effective ways that lead the students towards good results. Through past papers, one can get the complete idea that how paper sets for annual examination. 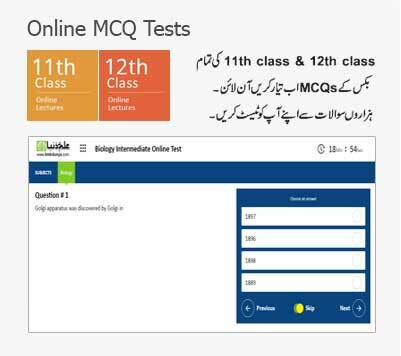 Here at this page students will get the Past papers of intermediate classes under Board of intermediate and Secondary Education BISE Lahore. Board of intermediate and Secondary Education BISE Lahore is one of the leading educational organization running under the instructions by Punjab Government. It was established in 1954 under the action by Ministry of Education in Punjab. Thanks for the team of ILm ki duniya. You guys helped me a lot. 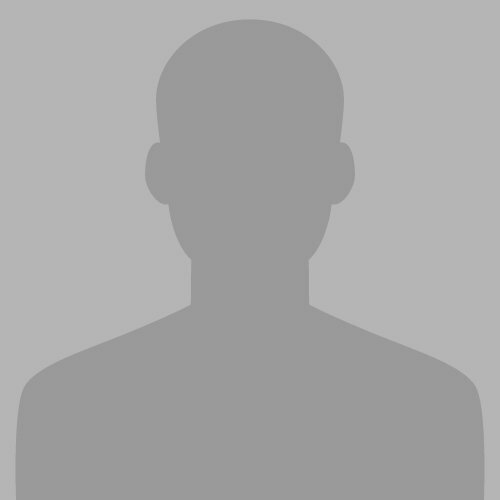 A very good website for the students who cannot afford academy fee. this sita has an useful material and also benifical material. i like thus site.